When I was a kid my father took us to a lot of parades. It was free entertainment and we stopped picking on each other for a while. As kids, we were awestruck by the precision of the bands and how perfect they were. It inspired to join the band in high school, I was hoping to do the same with my children. I contacted the retired band director from Montebello High School, Mr. Covellone and he gave me the list of parades for this Christmas season. Thank you Mr. C! 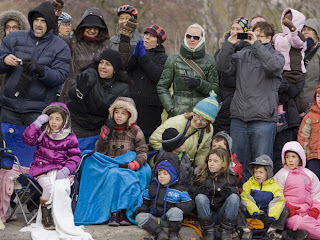 If you want to inspire your child to join the local high school band or just want to take the kids out of the house for a few hours, then pack up some blankets, stake out your place on the sidewalk, and cheer on the parade! Sunday, November 28th @ 6pm. Click here for details. Friday, December 3rd@ 5:30pm. Click here for details. ANTELOPE VALLEY BAND REVIEW - Saturday, December 4th @ 10am. Click here for details. WHITTIER CHRISTMAS PARADE - Saturday, December 4th @ 10am Click here for details. 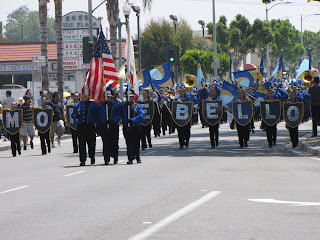 COVINA BAND REVIEW & CHRISTMAS PARADE - Saturday, December 4 @ 6:30pm. 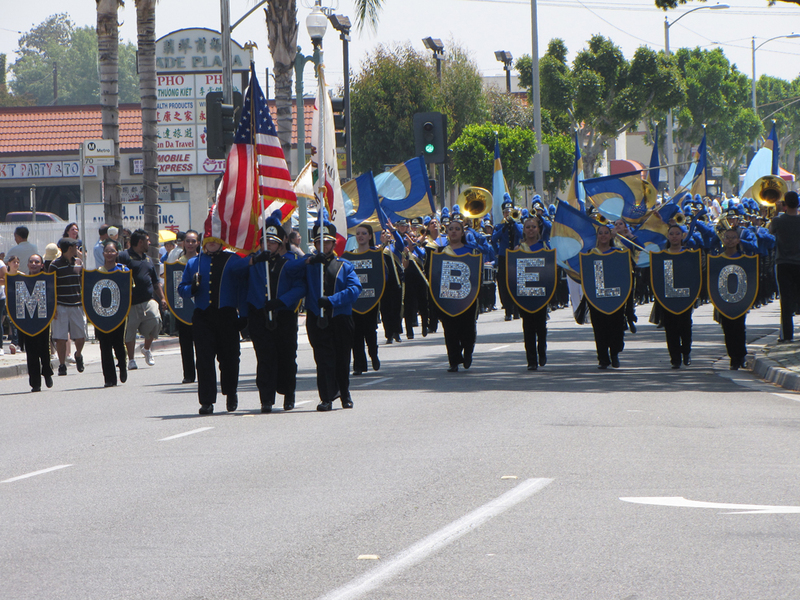 Montebello High School Band is participating in this parade and Mr. C will be judging! A must see! Click here for details. MONTROSE-GLENDALE CHRISTMAS PARADE - Saturday, December 4th @ 6pm. Click here for details. GLENDORA CHRISTMAS PARADE - Saturday, December 11 @ 9am. Click here for details. ESCONDIDO CHRISTMAS PARADE - Saturday, December 11th @ 9:30am Click here for details. POMONA CHRISTMAS PARADE - Saturday, December 11th @ 10am Click here for details. CAMARILLO CHRISTMAS PARADE - Saturday, December 11th @ 11am. Click here for details. SOUTH GATE, CHILDREN CHRISTMAS LANE PARADE - Sunday, December 12th @ Noon. Click here for details. PASEDENA, ROSE PARADE - Satruday, January 1st @ 8am. Click here for details. I came across an article of other Christmas and Holiday events in the Los Angeles area, some are parades and some have an admission fee. You can read the article here. Every year I miss the Covina parade because I usually participate in a homemade Christmas Ornament exchange that takes place the first Saturday of the month. We started 8 years ago and this is the first year we are not doing it. My daughters will love it, do I want to deal with the crowds? I am sure it will be worth it!